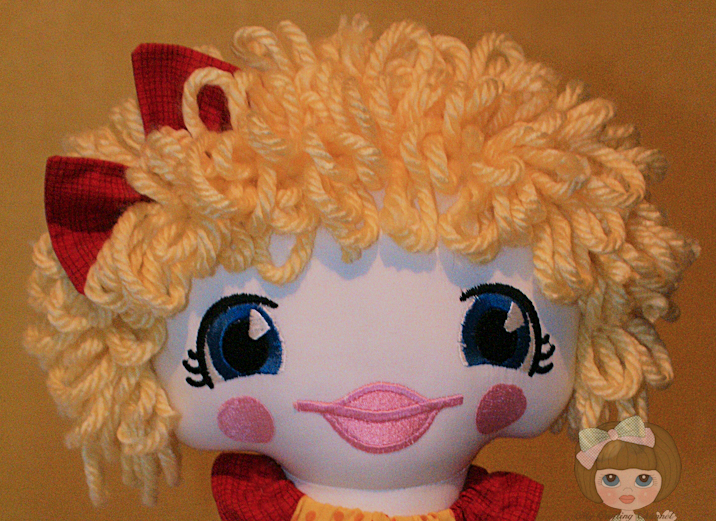 My Crafting Channel: 2 Creative Chicks Challenge #15 "Create A Doll" Week 3 "Susie"
2 Creative Chicks Challenge #15 "Create A Doll" Week 3 "Susie"
It's the time for another challenge over at 2 Creative Chicks. I know some of you are tired of seeing dolls. However, I'm having a blast making them. 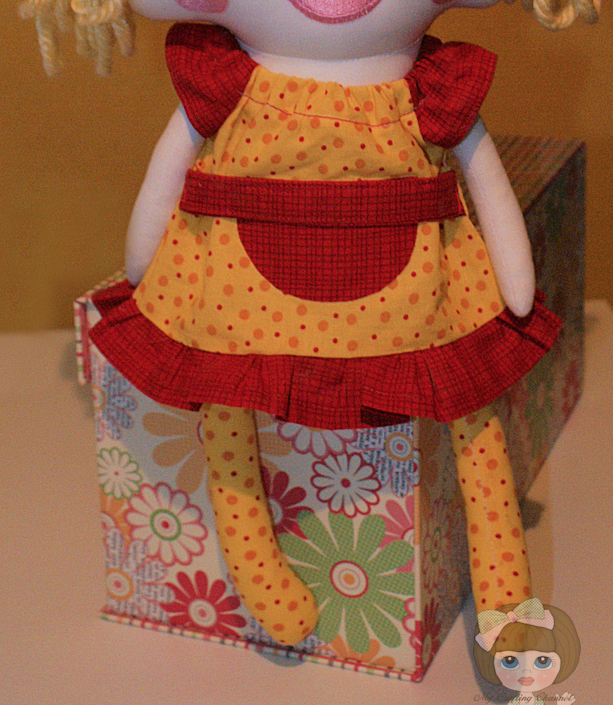 For this weeks post I made this adorable 18" Rag Doll using the same pattern as the New Born baby I posted last week. I wanted more of a toddler look for this doll. I used the colors (Red and Yellow) so she would match my craft room. 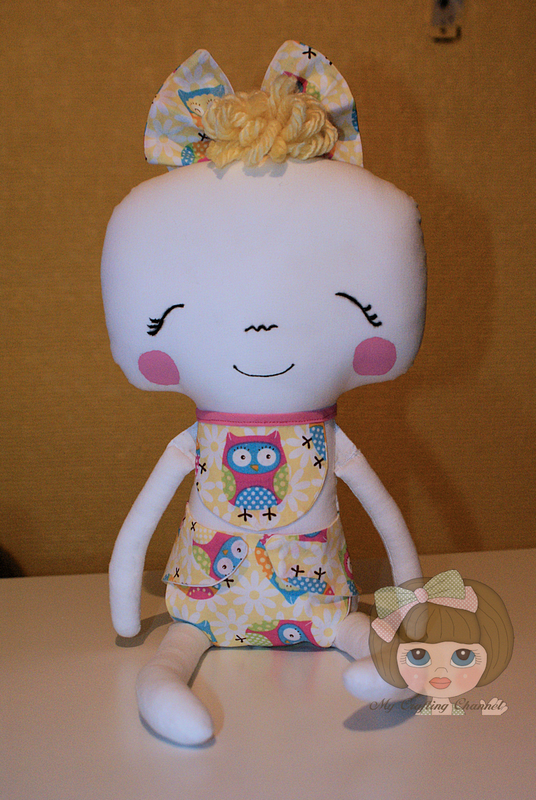 Susie is sporting a Peasant Dress with matching leggings and hair bow. I just love her embroidered face. Now onto the challenge info. These dolls are totally adorable Nana, you are so talented!! How adorable! Susie is such a sweetie! Love her outfit! OMG!! Her face is just Precious!!! I absolutely LOVE it!! So super fun what an adorable face. How long does it take you to make these? Have a Blessed day, DIANA L.
What beautiful dolls, you are very creative. Love the way you have done the facial features with fabric and machine stitching. The clothing is as precious as your dolls! This is so super AWESOME Nana!! 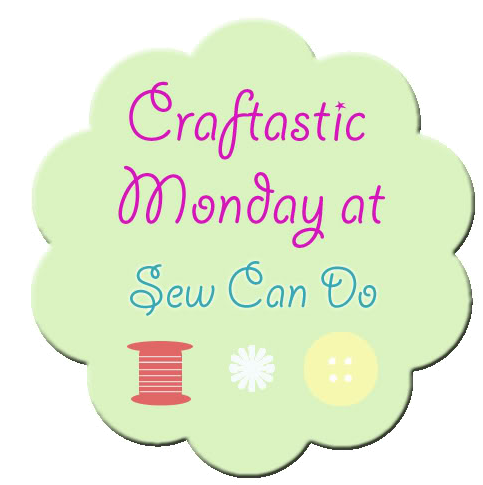 Wow you are one talented crafter! OMG! she is adorable, cuteness!!! Have a great evening. Oh my goodness, is she ever adorable! 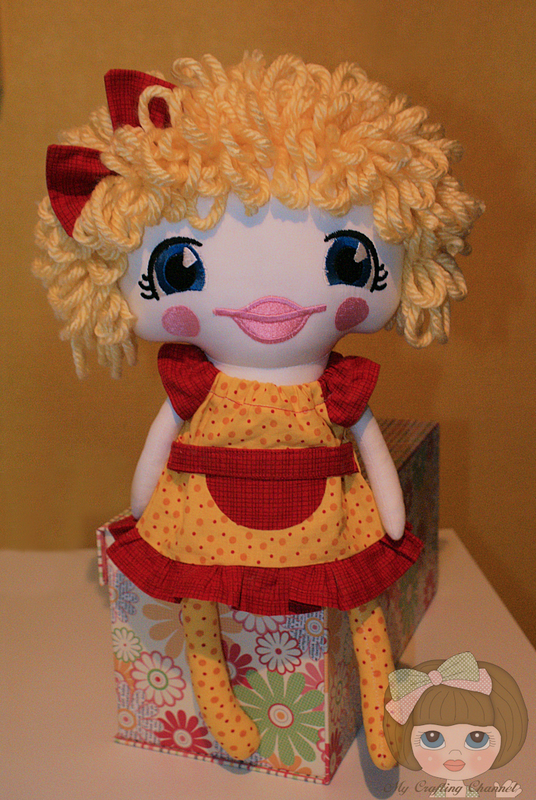 WOW, I wish I could sew like you:) Any little girl would love these and how they would brighten their day! So sweet!!!! LOVE!! Your dolls are so impressive! I love them all. What a ADORABLE doll!!! I love the cute face!!! !